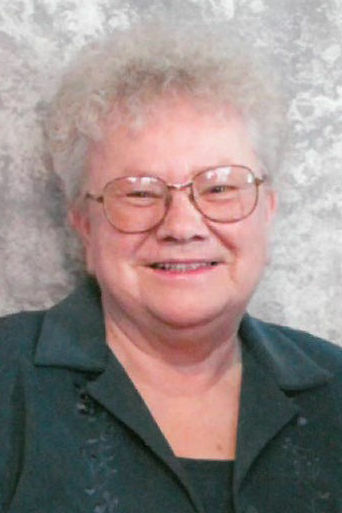 PITTSVILLE / COLUMBUS—Joyce N. Benisch, age 72, of Pittsville, formerly of Columbus, died peacefully on Wednesday, Jan. 9, 2019, at her home. She was born, July 26, 1946, in Windsor, to T. Jerome and Ruby (Dorman) Knudtson. She was married to John P. Benisch on May 1, 1965, at St. Joseph’s Catholic Church, East Bristol. She lived in Pittsville with her husband for the past 20 years, enjoying their own piece of heaven along the Yellow River. Joyce held many positions throughout her career, including Olson Implement, Columbus Journal Republican, Hamre Feeds, WPS, Security Health Plan, Consolidated Papers, and Minder, Gross and Stevning-Roe, before retiring with John. Over the years she enjoyed fishing, sewing, knitting and gardening. They always enjoyed spending time at the cabin in City Point, and driving around the state and country visiting many destinations, including Florida, New Orleans, the Bad Lands, and New Jersey. Joyce is survived by her husband, John; daughters, Julie Benisch, Marshfield, and Cindy Benisch, Poynette, and son, Bob Benisch of Rio; and her beloved granddaughters, Aubrey and Anna Benisch; brothers, Warren (Mary) Knudtson, Kieth (Judy) Knudtson, Chuck Knudtson, Jerry (Rosemary) Knudtson; sisters, Susan Bratland and Wendy Allen; and sisters-in-law, Kathy Knudtson, Doris Knudtson, and Shirley Knudtson; special friends, Jason, Sarah, Lillian and Lorelie Opie; and many nieces, nephews, other family and friends. She was preceded in death by her parents; a daughter, Anna Mary; and brothers, Larry Knudtson, Gerald Knudtson, Dave Knudtson, Niel Knudtson, and Dean Knudtson; three nephews and two nieces. A Mass of Christian burial will be held at ST. JOHN THE BAPTIST CATHOLIC CHURCH, 201 W. Blodgett St., Marshfield, on Saturday, Jan. 19, 2019, at 11:00 a.m., with the Rev. Sam Martin officiating. Visitation will precede the service beginning at 9 a.m. A private, family interment will be held at St. Joseph’s Catholic Church, East Bristol at a later date.